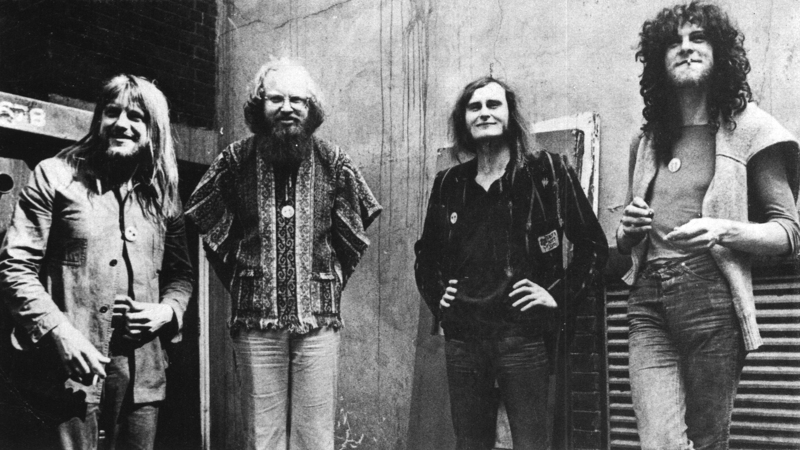 The band Robert Wyatt formed after he departed Soft Machine and recorded his first solo LP. I've never concerted much effort towards listening to output from the Canterbury scene, of which both bands belonged, and can't say I'm familiar with any other acts, save for Gong, which always seemed a bit more madcap, so forgive the naivety with which I broach this subject. The group was short-lived, and it seems like that was intended by design; Wyatt, by this time, had embraced his solo career and I wonder if he approached continuing to play in groups with the sort of commitment he had before. In any event, the fateful accident that led to his paralyzation—falling from a window—happened shortly before Matching Mole's third album was set to be recorded, and it was this that forced them to abruptly dissolve. The eponymous debut is a lilting, sweet, surprisingly humble and steady record, an art-rock effort that feels welcomingly human. That was followed, a few months later, by the Robert Fripp-produced Matching Mole's Little Red Record. Introspective and experimental, it has a markedly different feel, though Wyatt's voice, which always sounds peculiarly frail yet colorful, is unmistakable. Interestingly, the record also features Brian Eno for a moment—he contributed synths to the nebulous "Gloria Gloom." Really good synths, I might add, that, for three minutes or so, define this wooly cloud of sound that is both unnerving and absorbing. But my favorite track on the full-length might be "God Song," which feels like a folk ballad that's been contorted into something twisted, inverted into a photonegative of itself.